The skills gap and talent shortage have been two of the more prominent points of discussion among economists, analysts and others from around the world, with some arguing that better education is the only path to dropping the unemployment rate. This is not necessarily a new theme in global sourcing, either, as companies have long had to work hard to get their workplaces staffed with the right individuals, and talent shortages have always been at least somewhat of a factor. However, the problem has intensified significantly, especially in the United States, as studies from various major research firms have found that the skills gap is wider than it has been in almost a decade. Science, technology, engineering and mathematics jobs are, and always have been, the most highly demanded and trickiest to staff, but others are becoming a bit more prominent as well as time goes on, and companies have to find creative ways to overcome the obstacles contained therein. Remember, when it comes to running a business, few assets are as important as human ones, as operations will come to a standstill, errors will become more frequent and brand stature will deplete when skills are lacking in one or more areas of the organization. Before diving into the options leaders have today to source staff members from around the globe and fill open positions in an efficient and productive fashion, let's take a look into what the more common approaches entail. The Association for Training and Development recently reported that strategic sourcing is becoming a more significant demand of doing business in the modern era, but a combination of evolving technologies and the growth of global marketplaces is helping to soften the blow of the talent gap for many companies in the U.S. and abroad. After all, opening up prospect pools to the global realm will inherently boost the chances of getting the right skills into the business in a shorter period of time. According to the news provider, one study revealed that too few recruiters and other professionals are using social media as a tool to attract, identify and hire new talent, despite the advantages of doing so given the widespread participation in these platforms among the workforce. This is to the tune of 23 percent of recruiters using Google+, one-third using Facebook and only 50 percent leveraging Twitter as a resource to find talent. Now, getting into social media-based strategic sourcing practices are not all smiles and ease, either, as it takes hard work to differentiate the brand in the eyes of prospective employees from other companies in the market. The source pointed out that American firms have indeed enjoyed a significant level of success in building massive applicant pools, meaning that each individual strategy must have some unique bend to get the job done. ATD noted that a mixture of artful and scientific approaches to strategic sourcing of talent, which would be characterized by participation in social media ventures along with more personalized communications, can be just the medicine many firms need. 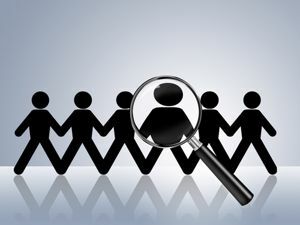 Some companies will struggle to strike the right chord with global sourcing and strategic attraction of talent pools containing potential applicants, and this is entirely understandable given the challenges and obstacles almost all firms will face on the road to optimal performances in these areas. However, leveraging the support and solutions of a proven global sourcing provider can help to minimize the strain and headaches involved in these highly important aspects of corporate management. Social media has become an important business tool, which means that recruiters need to be utilizing it properly. Posting open positions to social accounts is a start, but not enough. Companies can use social media to portray their brand and actively engage with both active and passive candidates.